Tonight a mass bunkhouse, tomorrow we begin our journey. An organic mix of communal and solitude, the El Camino de Santiago tries both ends of your soul before one even begins to wear the sole thin. Sorry, Ohio, this Toledo really rocks! From the minute we drove down to Toledo after completing the quick bus trip from Madrid, I was completely and irrevocably in love with the aging town. Whereas Madrid surprised me with its mixture of old and modern and the non-stop pace of the people, Toledo represented a relaxed, easy-going pace. As we trekked up a long, steep hill after the bus station I couldn’t take my eyes off the buildings stacked on top of each other in alternating layers of orange, yellow, and tan. There were no stop lights, no erratic skilled taxi drivers, and no overpowering smells of car exhaust or trash. We joked about how the people and traffic were nowhere near as patient and polite back home in Blacksburg. In the last five days, I have realized how I love each adventure more than the last. I loved Madrid, and now I love Toledo a hundred times more. Each city, museum, and activity is providing a different experience encouraging me to learn about different cultures and people. I can’t wait for the next chapter of this unbelievable opportunity and to see even more of Spain. The time I have spent in Madrid has been nothing short of amazing. From ATMs that aren’t even open 24 hours to death-defying taxi driving, this city has surprised and impressed me at every turn. 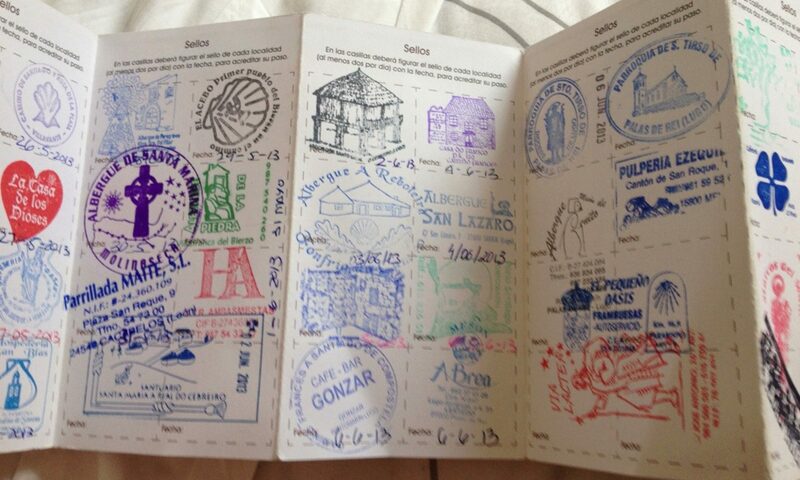 I have tried some of the best food I have ever had, and enjoyed amazing hospitality from the spanish people. In addition, i have learned so much from just simply walking around and listening to the sounds of the city. The hustle and bustle of a major city is mixed with a much deeper sense of relaxation, and contentment. Economic conditions aside, people here really attempt to enjoy life and only work to live, rather than the other way around. Cafes and bars are rarely empty, and the streets are always filled with people simply enjoying being outside. Madrid has so many things to experience and i’m so thankful I was able to get a taste of it, and cannot wait for more. Of course, there will be no post-modern art next time. The Puerta de Alcala in the Plaza de la Independencia (“Independence Square”) in Madrid. I’m a little sad to be leaving Madrid today, but I’m ready to see more of Spain. Just driving away from the city, the surrounding countryside is absolutely amazing, big mountains all around, a mix of thick forests with some more dry, rocky parts. Toledo was the coolest thing we’ve done so far, in my opinion. The views from the top of the town were just breathtaking, and the town itself, with all the old buildings and tiny streets was just unreal. And oh my gosh, the food here is just, yummalicious. La Carboneria, Carlos’ place, definitely had the best food so far. The tapas came nonstop, and I wasn’t complaining. I have always heard that Europeans eat much smaller meals than we do, but every dinner we have had so far I’ve left the restaurant feeling like I was going to explode. Thankfully we’re about to walk 300km so I don’t feel too bad about it. I’m getting pumped to start walking, it is going to be the most memorable backpacking trip of my life, I can already tell. 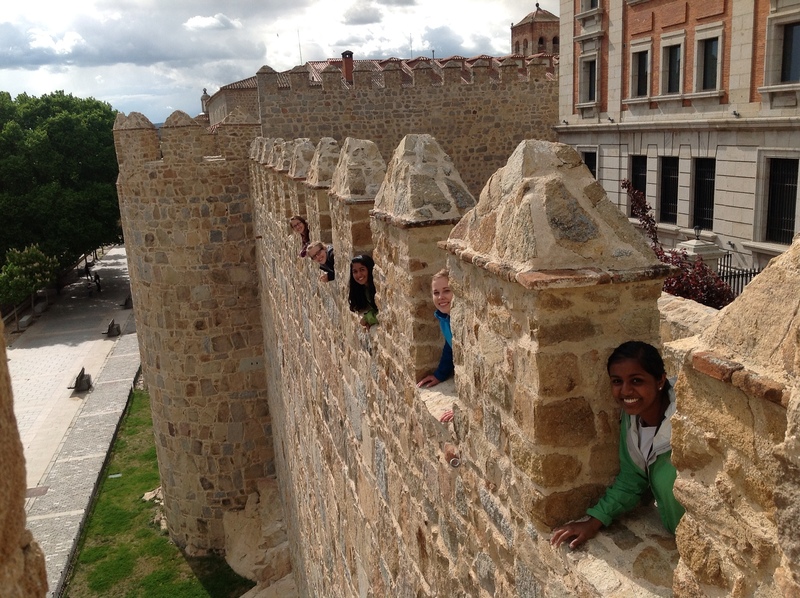 The walled city of Avila is home to our palace for the night. Thanks to Virginia Tech faculty members Annie Hesp and John Boyer, “The Way” was released early in Blacksburg and played in front of a packed house in Burruss Hall last September. 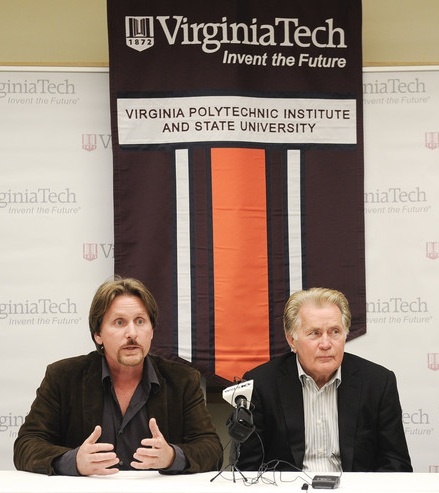 Martin Sheen discusses making a movie with his son, Emilio Estavez, onstage in Virginia Tech’s Burruss Hall. 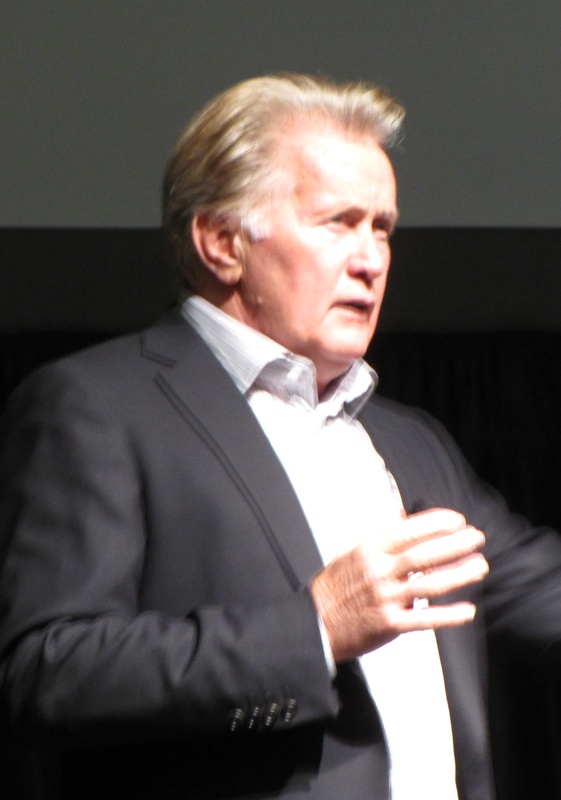 Hesp, an instructor in the Department of Foreign Languages and Literatures, personally lobbied Martin Sheen and Emilo Estevez at a conference back in February of 2011. The movie and its famous star and writer travelled to Blacksburg for a screening, capping an intense campaign on Facebook and a YouTube clip posted by Boyer, an instructor in the Department of Geography. Hesp has biked the El Camino twice. She has also made the pilgrimage twice on foot, accompanied both times by students from the University of Michigan where she was a doctoral student at the time. Hesp’s dissertation focused on the concept of community along the Camino. She was conducting her research at the same time Estevez was writing the movie. Ironically, they were examining many of the same resources at the same time. We’ve visited many neighborhoods and walked with many friends in the eight weeks of prep treks with loaded backpacks.